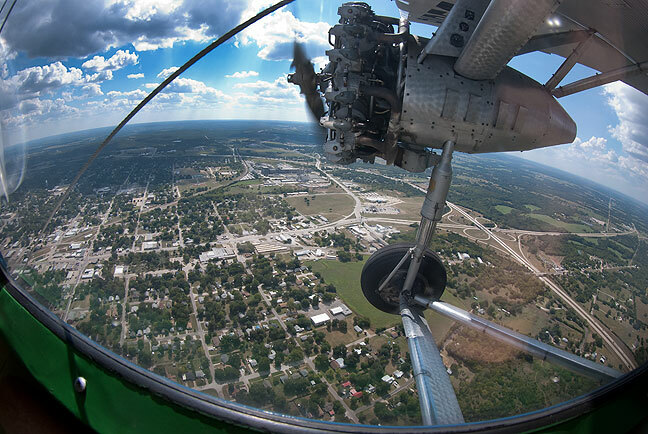 This view looks southeast from just south of the Ada Municipal Airport on our short media ride in a 1929 Ford Tri-Motor this afternoon. 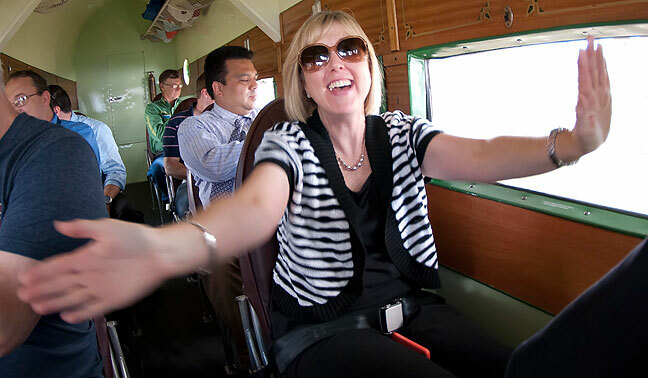 Once airborne, Lisa Bratcher felt a sense of elation. 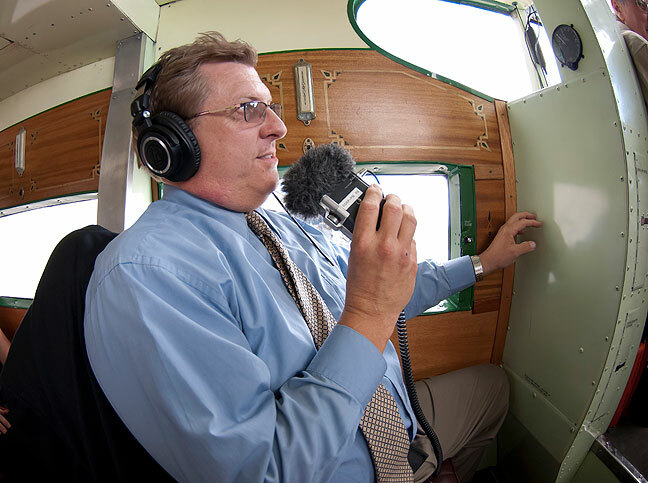 Seemingly fit to go along with my last post, I went on another media ride today, on a 1929 Ford Tri-Motor, with many of my old media buddies. 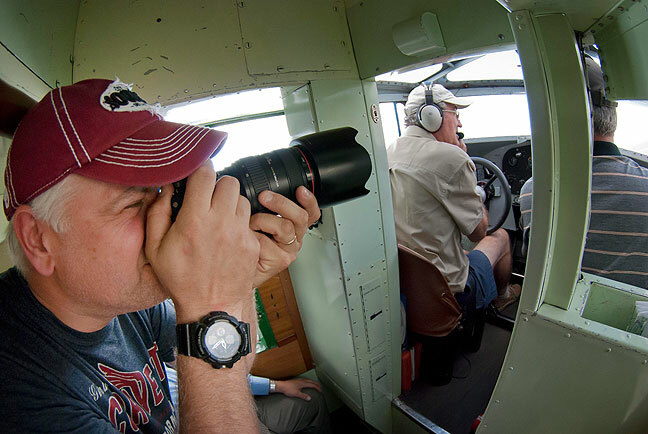 Explore Ada videographer Will Boggs makes footage of our pilots. 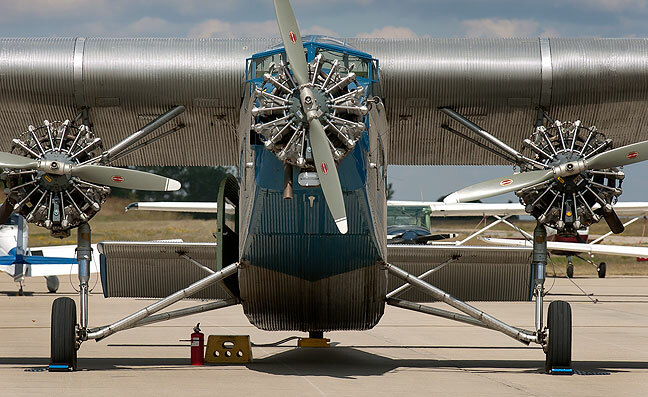 Despite its legend, there is nothing even remotely elegant about the Ford Tri-Motor. Brian Brasier captures audio for his KCNP report. The plane was exactly as I expected it; primitive, mechanical, loud, awkward. I’ve flown may planes and wanted to fly many more, but I had no desire to fly this one. It was a fun ride, however, and it’s always nice to see my media buddies and my pilot buddies. 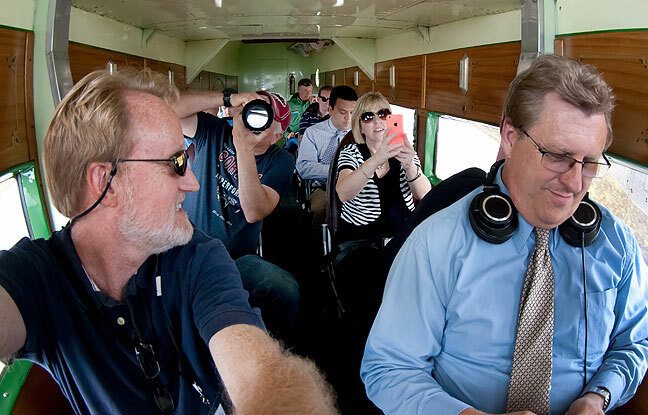 In the front two rows of the Tri-Motor with me (left) are Explore Ada videographer Will Boggs, City of Ada spokesperson Lisa Bratcher, and KCNP radio journalist Brian Brasier, all longtime friends. Did you get more of the Ada from the air? Nice flight, low and slow. Audio story on 89.5FM Tuesday morning about 8:45. Thanks for the visuals Richard!